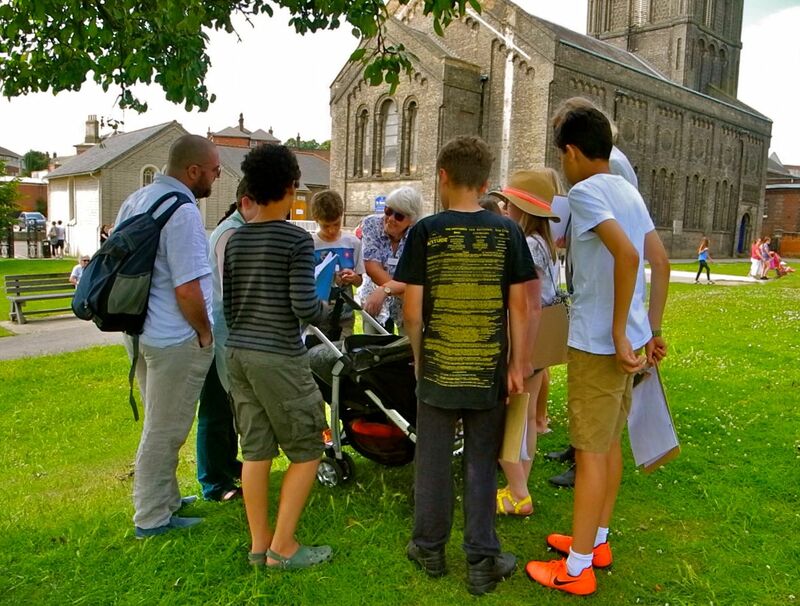 On Saturday (17th June), the Colchester Young Archaeologists’ Club (YAC) held their June meeting in the Millennium Hall of St Botolph’s church in Colchester. 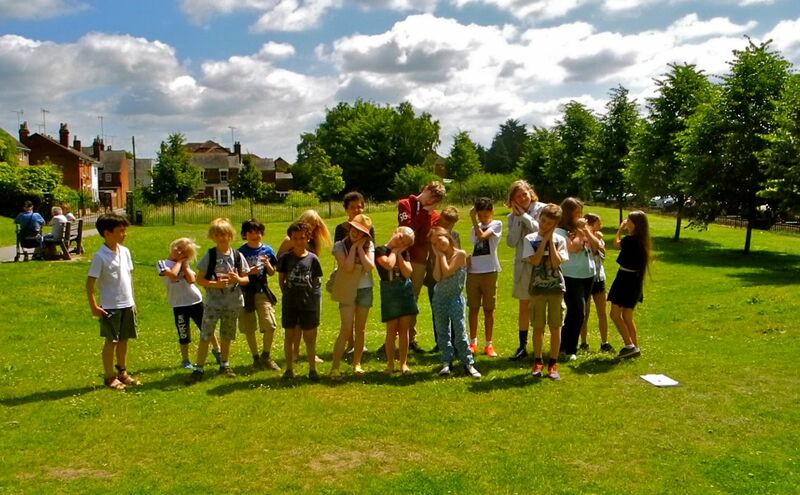 Colchester YAC organiser Barbara Butler writes: ‘… Eighteen YAC members congregated in the Millennium Hall. Seven of them had enjoyed meeting up last weekend at the Colchester Roman circus centre for the Ermine Street Guard event. The YAC had a small static display in the Colchester Archaeological Trust’s archaeology tent at the event. We displayed pictures of our activities over the past five years and challenged visitors, young and old, to build classical buildings with Lego! 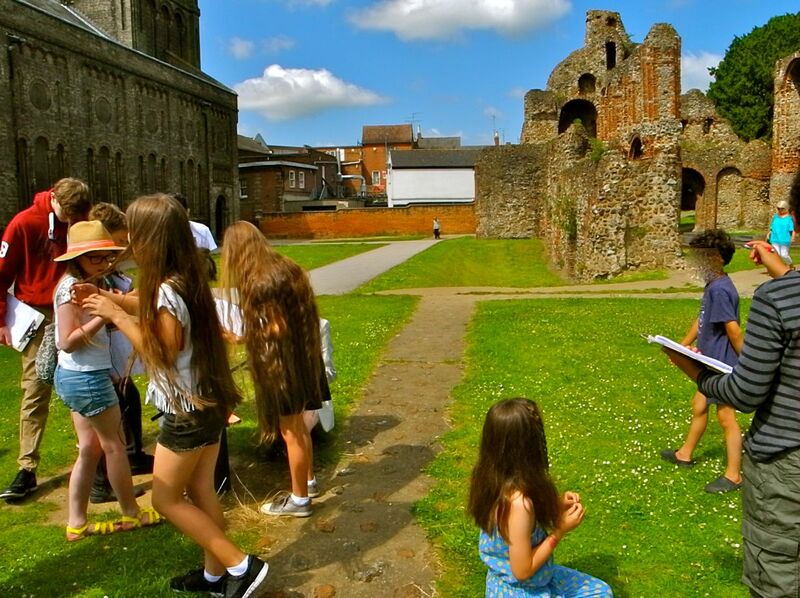 This week, the YAC members were challenged to find answers to questions about the origins of St Botolph’s priory here in Colchester. Exploring the ruins of the priory church, we discovered the remains of stairs in one of the west front towers, fragments of the medieval tiled floor, and the sites of the crossing, transepts and cloisters. The east end of the priory church was excavated in 1999 by the Colchester Archaeological Trust, after which the priory site was landscaped as a public amenity space with the plan of the church marked out on the ground. When we took shelter from the sun in some shade, we were treated to a visit from YAC volunteer leader Amy Cotterill who brought her new baby to meet us. The YAC members sought answers to their questions from the information boards on the site and then met up again in the Millennium Hall to compare notes. Before going home, they worked out the probable site of the priory’s dormitories and stood there, indicating slumber. The prizes for answering the questions were ice creams from the corner shop on St Botolph’s Street …’. 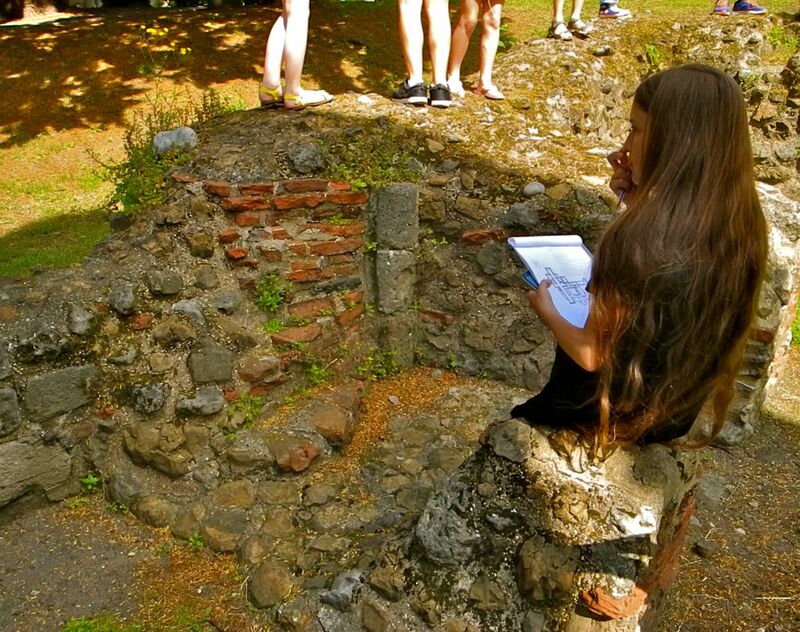 The images show Colchester YAC members discovering the remains of stairs behind the west front of the priory church; examining an information board for answers to their questions; meeting Amy’s new baby; and marking the probable site of the dormitories.